Do you suffer from the January blues? It's understandable. The cold weather feels like it won't let up, work at the office has resumed and those enjoyable festive moments feel long gone. When we feel like that at Casale we do one thing. We leave the house and we head to the orchard. We watch the sun rise through the trees, we take a deep breath in to catch the scent of the wild mountain herbs after the rain and we take a few minutes to absorb nature at its most beautiful. The area we now call the Orchard wasn't always a thing of beauty though. Much of our village was left to erode up until the 1980s. It was the father of John, the owner of Casale, who first had the idea to begin cultivating the land. John, who was working abroad at the time would send money back to him, which he used to begin the project. He didn't really plan it properly, but each new addition to the orchard seemed to complement the last. 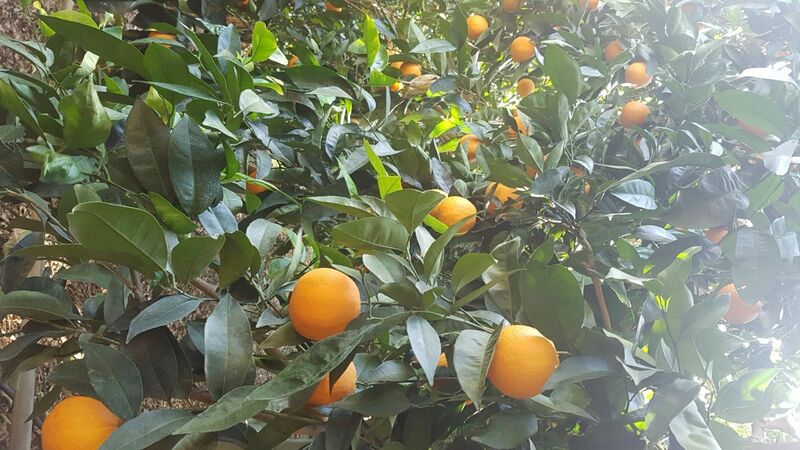 Now if you take a stroll through the trees you will find oranges, lemons, clementines, pomelo, mandarins, kiwi fruit, grapes, walnuts, peaches and figs. Plus tomatoes, cucumbers, peppers and other veg in the summer. You might even see us picking the thyme, sage and mint for our mountain tea. In fact, much of the fruit and vegetables served in the restaurants come from the estate. They're even in our cocktails! At the moment the orchard is full to the brim with citrus fruit. So, the jams and marmalades at our breakfast buffet contain oranges and lemons handpicked by us, especially for you. The first step to a successful orange marmalade is taking advantage of the pectin in the oranges (a natural gelling agent found in ripe fruit). So on the first day we cut the fruit making sure we remove the seeds, and the next day we make the jam. Cut the oranges and lemons into big pieces. Place all the fruit pieces into a large non-stick or stainless steel pot. Add the water and bring to a boil. Remove the pan from the heat and put the boiled fruits into a blender. Place the mixture in a pan, add the sugar, stirring well until the sugar is dissolved. Place the cover on the pan and let it set overnight. The next day, bring the mixture back to a boil. Reduce the heat and simmer on low for two hours. Turn up the heat a little and boil gently for 30 minutes. Skim off any foam with a metal spoon. The jam will set completely after you add it to the jars. The jars must stay in one place for at least 24 hours.